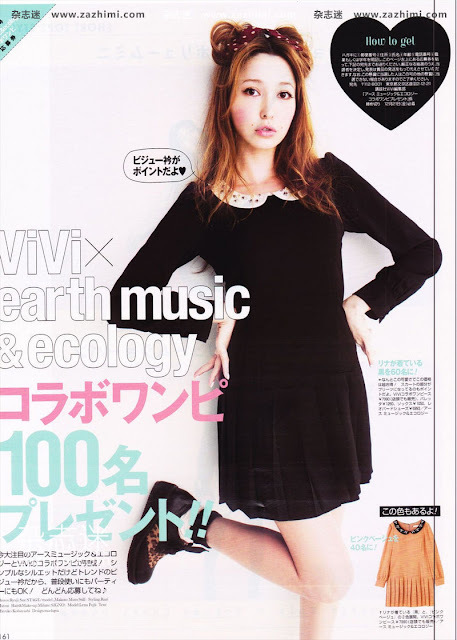 ViVi is one of the more popular fashion magazines among other magazines in Japan and is one my absolute favourite. I usually only download the issues for inspiration looks but I don't really follow with the styles and outfits in there all that much. 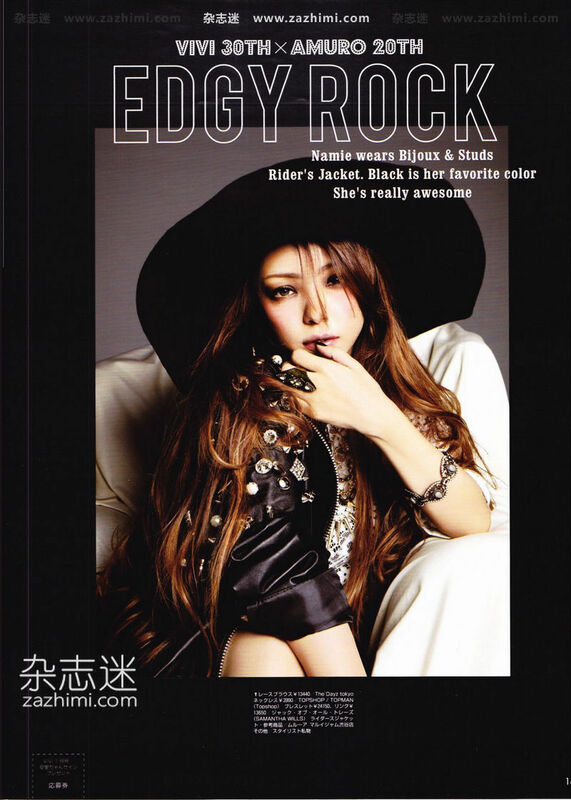 The magazine features more of the edgy rock look and it's not a particular style I'd like to wear on a daily basis. Big knit sweaters with cute prints and patterns, lace floral dresses, cute and girly skirts is more of my daily style look. However, there are times when I do like dressing a bit more dark and edgy on days when I feel like being "different" from my usual self. So you can say I do have a liking for the edgy rock look but it's just not something I'd prefer wearing everyday. 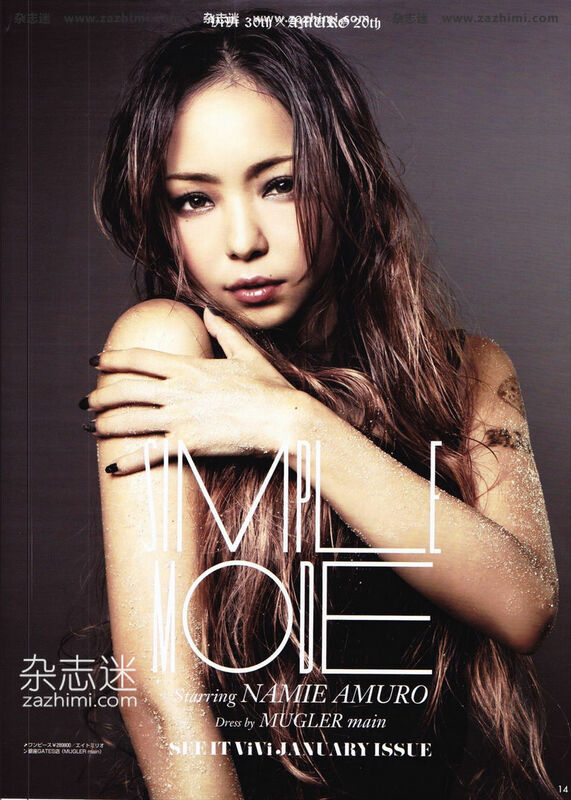 Namie Amuro. 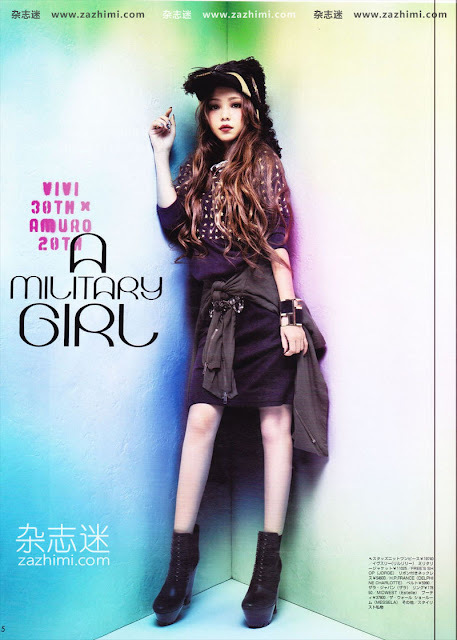 She makes everything looks good and can pull off any style with her perfect face and body. Really want to get a pair of these black and white shoes the model is wearing in this scan.